Women behind Veils – Thoughts…. I grabbed the book as soon as i saw the cover page of a women wearing veil. My friend said “you are obsessed with arab women, everything they say in these books need not be true”. I thought may be. Still I got to read. Khaled Houssien opened the Arab women world to me through “Thousand splendid suns”. It was a spectacular book. Every women should read it to know how fortunate they are not to be born in that part of the world. 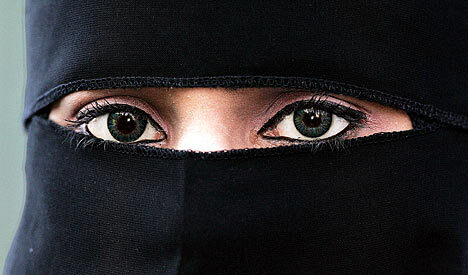 I wish there was something I could do for the women out there who cover both their soul and face behind the veils. There should be something someone out there can do make the world better for them. Princess is a book based on a true story. Story about a Saudi Arabian princess fighting for mighty happiness in life. That book had its impact on me for months. No child should pray to God to make her a princess I thought. For us being a princess means luxury. But, for them happiness is the real luxury which they hardly find. They don’t have any voice. If they fail to produce a male heir they are treated as slaves. If they say aloud what they feel they are slapped to ground. If they try to get out from the darkness they live in, they are pushed into dungeon for the rest of the life-like a piece of trash. How I wish I could talk to one of them. One princess who is happy. The book I grabbed today morning is Forbidden Love. Finished reading the book just now. It’s a small book and writer claims that it’s a memoir. Whether it’s a fact or fiction is something I am not concerned of. What I am concerned is Honour Killing Happen in some part of the world and its legal. Almost 2500 women are killed every year and they are innocent. UN interfered and nothing happened. It still happens and we women in the other parts of the world rarely think about them. A family member in the family have right to kill you if you do something they don’t want you to do. How will you sleep in the night knowing that your own father will kill you if you take one wrong step. Feminist inside me screams and shouts for me to do something.